The Downtown Management District is seeking a Corpus Christi artist to create a public mural on the exterior of a downtown building in the Marina Arts District. This art-centered district in Downtown Corpus Christi is home to more than 50 public art works and murals and is place to engage our community . The artist and rendering will be selected by a Mural Committee and notified no later than Wednesday, April 24th. Completion date: The mural must be complete by Wednesday, May 22nd. The unveiling will take place during the Mural Mixer on May 23rd. The mural subject matter must reflect Corpus Christi’s culture and heritage. 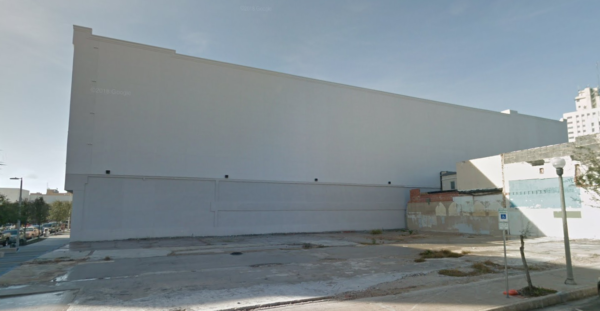 Mural will be featured on a six-story stucco wall that is 150 feet wide. Mural must fill the majority of the space. Entries must be original works of art. Click here to download application. Email applications and renderings to jordan@cctexasdmd.com.